The Tequila Patron ESM (Extreme Speed Motorsports) team opened one of their Christmas gifts early this week. 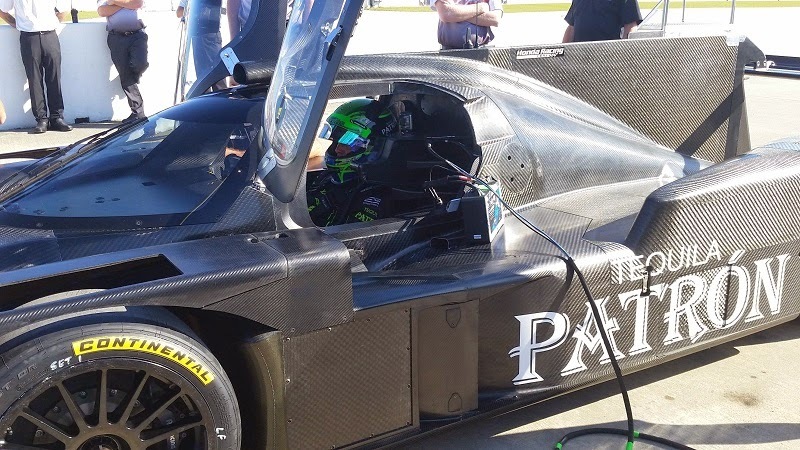 Waiting for their newest speed machine since May, the drivers for Tequila Patron ESM turned their first laps in an all-new Honda prototype race car in preparation for the 2015 FIA World Endurance Championship. Received by the race team operated by Scott Sharp (a long-time American sports car racing driver as well as a co-champion for the 1996 Indy Racing League drivers’ title), the first of two all-new Honda Performance Development (HPD) ARX-04b prototype coupes was acquainted with an unidentified race track. Team Principal and Tequila Patron ESM squad’s co-driver Sharp was first to take the new vehicle out on track. “This HPS Coupe is very exciting for us, there has been so much anticipation building up to our first laps”, said Scott Sharp as he ran some initial shakedown laps. 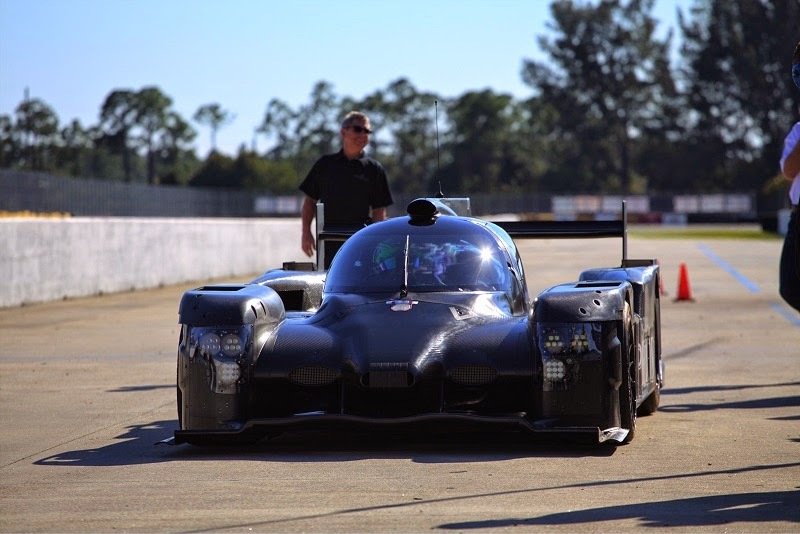 An early test of the ARX-04b, HPD prototype project leader Allen Miller slated, " Our goal today was simply to check all the systems to ensure the ARX-04b is where it needs to be, as we start our pre-season test program." A vehicle fully compliant with ACO LMP2 rules, HPD’s new ARX-04b is powered by a twin-turbocharged version of a production-based V-6 engine. The drive-by-wire powerplant is similar to the one used on the Honda Accord as well as Acura products such as the MDX and the new TLX. The new Honda Performance Development vehicle is quickly identified for its closed cockpit setup. All the previous versions of the ARX line were open cockpit vehicles. In the 1990s, an Acura NSX-engined prototype race car ran in the GTP Lights category with an enclosed-cockpit setup. Under the Comptech Racing banner, the Honda powered prototype used a Spice chassis. Running full-time as part of the FIA WEC tour in 2015 in the LMP2 category, the first active field-test of the HPD ARX-04b in competition will take place in the Rolex 24 at Daytona. Additionally, Tequila Patron ESM was pledged to battle for the 2015 Tudor United SportsCar Championship’s Tequila Patron North American Endurance Cup. The four-race competition for the North American Endurance Cup is shaped by the 24-hour race at Daytona International Speedway, the Mobil 1 Twelve Hours of Sebring, Sahlen’s Six Hours at the Glen and the Petit Le Mans at Road Atlanta. Tequila Patron ESM have been rapidly acquainting themselves to the FIA WEC after years involved in the American Le Mans Series Participating in three races in the LMP2 category this past season, the team posted a runner-up spot running the Shanghai FIA WEC round. The 2015 season will be Tequila Patron ESM’s sixth year of sports car racing competition.